The "ethnic cleansing" that has gripped the Balkans for much of this decade is but another chapter in the long history of man's inhumanity to man. Hopeful but unflinching in the face of such realities, Howard Ball's book focuses on international efforts to punish perpetrators of genocide and other war crimes. Combining history, politics, and critical analysis, he revisits the killing fields of Cambodia, documents the three-month Hutu "machete genocide" of about 800,000 Tutsi villagers in Rwanda, and casts recent headlines from Kosovo in the light of these other conflicts. Beginning with the 1899 Geneva Accords and the Armenian genocide of World War I, Ball traces efforts to create an institution to judge, punish, and ultimately deter such atrocities-particularly since World War II, since which there have been fourteen cases of genocide. 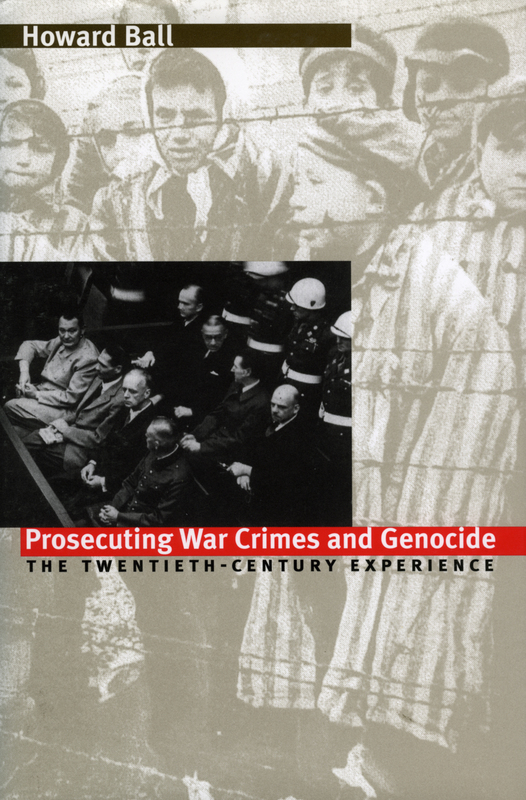 He shows how international military tribunals in Nuremberg and Tokyo set important precedents for international criminal justice, tells what the international community learned from its failure to stop Pol Pot in Cambodia, and describes the ad hoc tribunals convened to address genocide in the Balkans and Rwanda. He then focuses on the establishment of the International Criminal Court with the Treaty of Rome in 1998 and assesses its probable future. The book also analyzes the reluctance of the United States to sanction the ICC, tracing longstanding U.S. reluctance to grant criminal justice jurisdiction to an international prosecutor. Ball examines questions of national sovereignty versus international law and reminds us that although most Americans consider such horrors to be problems of other countries, these are in fact countries in which many of our own citizens have their roots. With its unique focus on the ICC, Prosecuting War Crimes and Genocide is a work of both synthesis and advocacy that combines history and current events to make us more aware of the racist fervor with which these brutalities are carried out, more alert to the euphemisms in which they are cloaked. It forces us to ask not only whether the killing will stop, but whether humanity can prevent future genocides. Howard Ball is professor of political science and university scholar at the University of Vermont. A former civil rights worker in Mississippi, he is the author of twenty previous books, including A Defiant Life: Thurgood Marshall and the Persistence of Racism in America; Hugo Black: Cold Steel Warrior; and Justice Downwind: America's Atomic Testing Program in the 1950s.